Recently updated,cozy two bedroom apartment,has a new layout!Master bedroom is now located in completely quiet room facing garden,so no street noise issues at night anymore! With great location in De Pijp,only 10 minutes walking distance to Center of Amsterdam or Museum square (Van Gogh Museum,Concertgebouw,Stedelijk Museum) or Leidse square or Rembrand with many shops,market and great restaurants.Also Heineken Museum and famous Albert Cuyp market only 5 minutes walking distance away. Very convenient new metro line 52 with station De Pijp across the street connects apartment with Central Station as well and travel takes 5 minutes. Apartment offers free Wi-Fi and Digital Cable TV.Sheets and towels included, Cooking stove, Fridge freezer,Microwave, Coffee maker,Toaster, Bath tub, Iron, Ironing board, Vacuum cleaner, Heating, Cable TV / Satellite TV, DVD player provided. 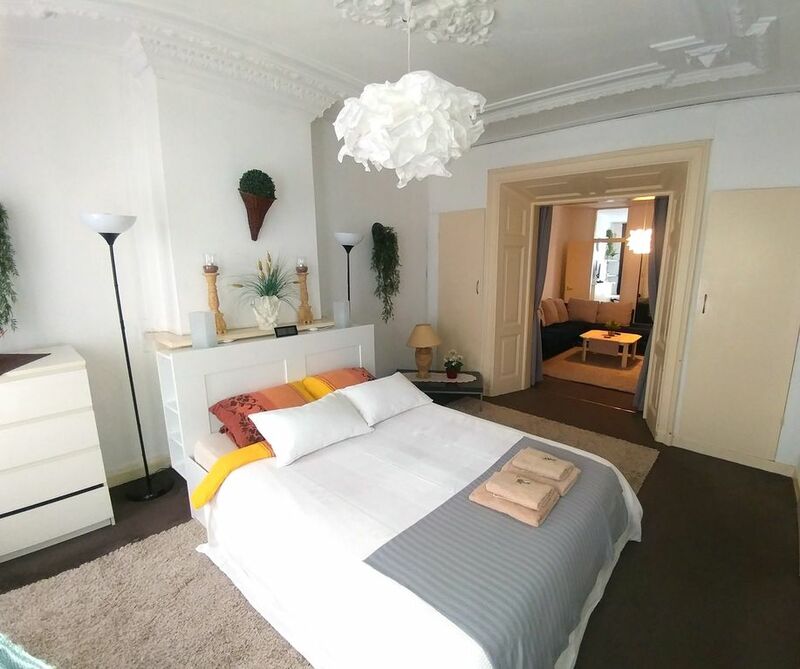 Apartment offers everything for a nice and cozy stay while exploring beautiful Amsterdam. Pretty apartment on great location! but what else to expect from typical Amsterdam's house. Had a pleasure of being first guest after updating and it felt cozy and fresh. Very friendly,responsive and helpful owner as well. Location is the best...most of sight seeings are within 15 minutes distance...Rijksmuseum,Van Gogh ,Heineken museum... ,also plenty of good restaurants and shops in the area. New metro line with station across the street is super convenient (Amsterdam Central Station 3 stops, 5 minutes away). Great location, nearby Albert Cuyp Market and Heineken museum,10 minutes walking distance to center(Leidse square, Rembrand square), 15 min walking distance to Van Gogh museum,Rijksmuseum...surrounded with many shops, market, restaurants, lively neighbourhood with new metro station De Pijp,connecting Central Station in 5 minutes.